Great pool. Lovely outside eating area. Owners very friendly but leave you alone unless you need anything. The quiet location was wonderful, the cleanliness was superb, very comfortable gite with everything we would expect. Steve and Fiona are wonderful hosts and so helpful. 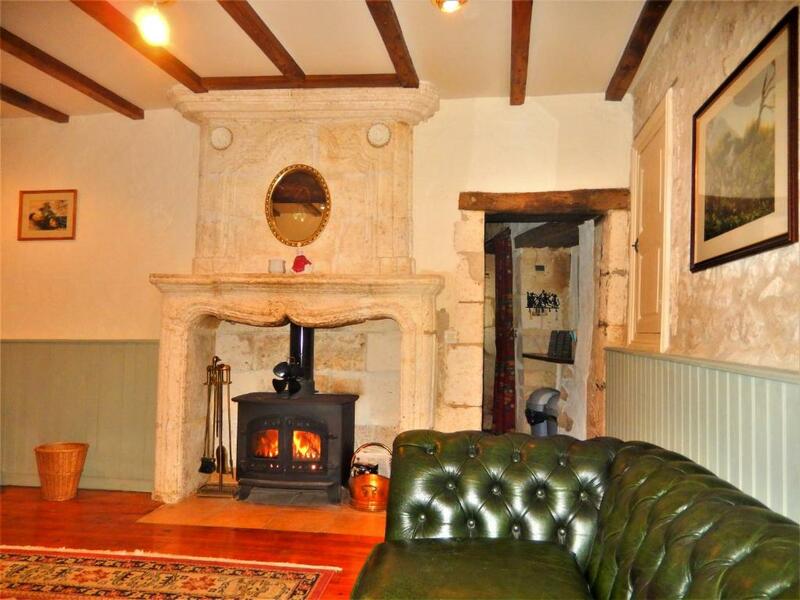 Gîte parfait, propre et cosy, so british! Les hôtes sont dû gentillesse sans égal et l'endroit est à couper le souffle! Maison très bien équipée et très accueillante. Fiona et Steve sont très accueillants et toujours prêts à vous aider. L'environnement est agréable et l'accès aux grandes villes ( Perigueux, Angoulême) est facile. Une très bonne adresse ! Nous y retournerons! Les propriétaires sont chaleureux et très gentils. La maison est au calme et a un bon confort. Sécurité des escaliers pour les enfants en bas âges ce qui est vraiment top. On y retourne dès que l'on peut. Lock in a great price for La Gauterie – rated 9.9 by recent guests! 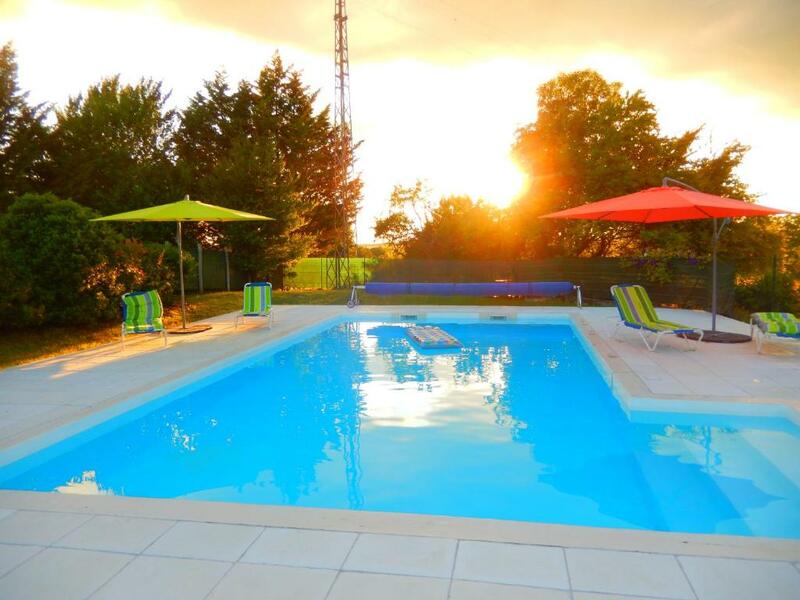 Located in La Chapelle-Grésignac, La Gauterie provides accommodations with a private pool and pool views. This vacation home has free bikes as well as free WiFi. The vacation home is composed of 2 bedrooms, a dining area, a fully equipped kitchen, and 2 bathrooms. A flat-screen TV with satellite channels is featured. The vacation home has an outdoor pool. A garden and a grill are available at the property. Angoulême is 24 miles from La Gauterie, while Périgueux is 29 miles from the property. Roumanière Airport is 46 miles away. 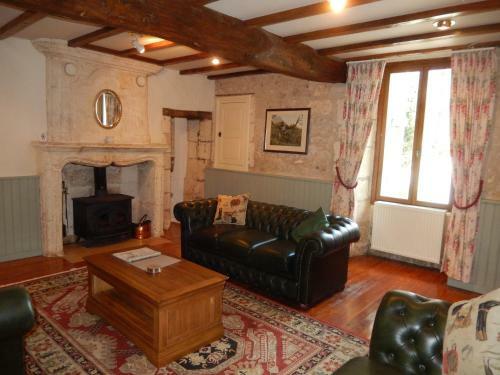 This property also has one of the top-rated locations in La Chapelle-Grésignac! Guests are happier about it compared to other properties in the area. This property is also rated for the best value in La Chapelle-Grésignac! Guests are getting more for their money when compared to other properties in this city. When would you like to stay at La Gauterie? 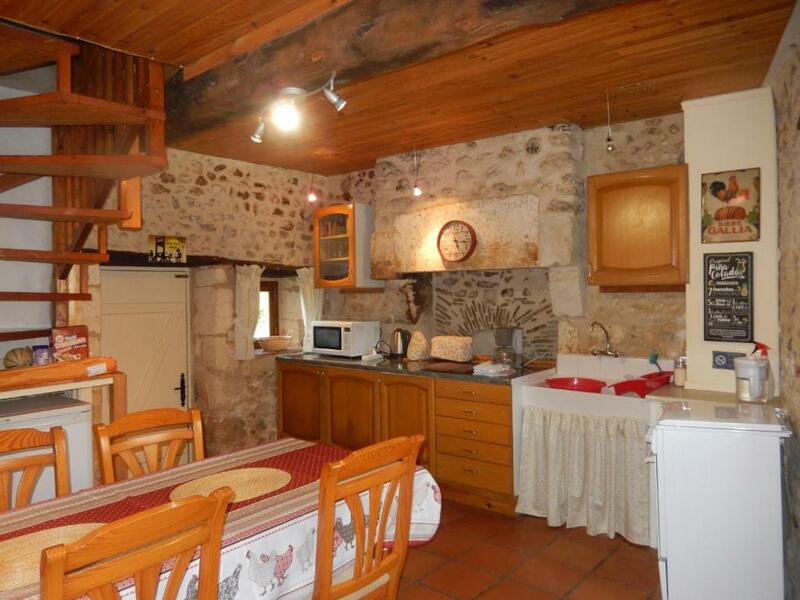 This holiday home has a microwave, tile/marble floor and toaster. We arrived in the Dordogne in October 2016 bringing an old dog and cat as well as horses. Having travelled round Africa we have a highly developed love of nature and have found France still has the space and wild places left to be explored.To some extent riding the horses has given us the opportunity to see things that you would not normally see from the car or on foot We have felt it very important to socialise and integrate with the local people and to that extent Fiona having studied French to A level has relished the opportunity to develop her skills by attending local French lessons and interacting with French friends and neighbours on a regular basis. Steve is a work in progress however! The Perigord Vert is the northern part of the Dordogne .It owes it's name to the lush green landscape many rivers and brooks ,wooded hills,valley's, grassland and wild fauna and flora. The landscape follows the rivers Dronne and Auvezere .Brantome is called the Venice of the Perigord and deserves a visit .In the area is one famous cave and a number of beautiful castles. Also worth visiting are ; Saint Jean de Cole, Riberac, Nontron the capital, Excedeuil and the castles of Richemont, Bourdeilles, Puyguilhem and Jumilhac. There are a few lakes like le grand etang de la jemaye. l'etang de St Estephe and Rouffiac. The history of man can be discovered at the prehistoric caves of Teyjat and Villars as well as the troglodyte dwellings in Mareuil. There are many abbeys, romanesque churches and museums ,for example the Knife Museum at Nontron and truffel museum at Sorges. There are night and day markets in many of the towns with one of the largest held in Riberac. Local sports abound; canoeing, biking, hiking and water sports. The food is very special in this region of France with specialities such as veal, pork, turkey, chestnut, apple and walnut, mushroom, truffles and foie gras. House Rules La Gauterie takes special requests – add in the next step! Please inform La Gauterie of your expected arrival time in advance. You can use the Special Requests box when booking, or contact the property directly using the contact details in your confirmation.